You never think about how to clean mold in a car, until you have a mold problem. You know, that tell-tale mildew smell, or you see black spots actually growing on the dashboard. How Does Mold Grow in a Car? 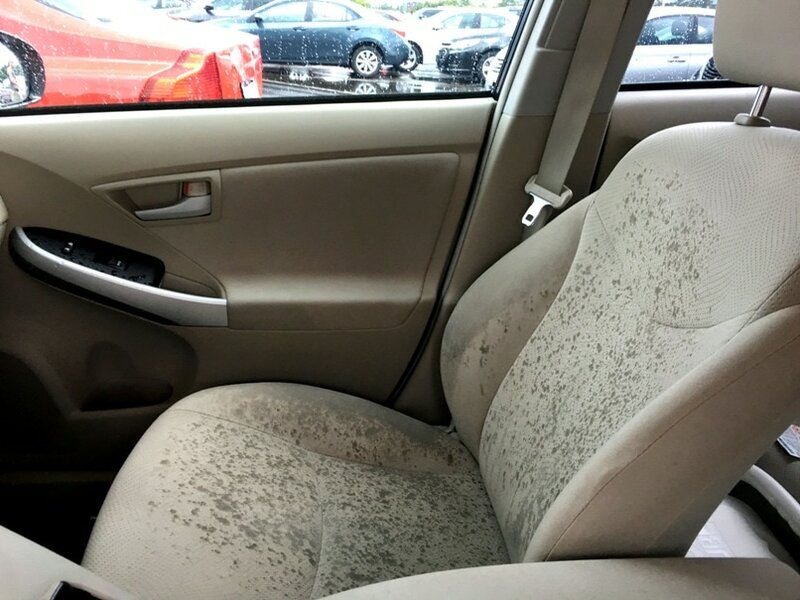 Mold can start growing in a variety of ways in your car. And it can be small amounts of mold, too. Sometimes you’ll never even see it. First, you need to stop the accumulation of moisture and get rid of dampness. Remove anything that might be wet or damp, including floor mats, sports equipment in the trunk, car seat carriers and base, pillows, etc. Dry the visible moisture off of these items, if any. Then place the items in the hot sun to dry out completely. If you can’t remove an item that is damp, such as the upholstery on a seat or the floorboard, there are a few options. Use a wet-dry vacuum to remove the water. Be sure to do this for every surface, not just one area that you think might be wet. If you don’t have a wet-dry vacuum, then park your car in the outdoor sun to dry out. Roll down all of the windows on a sunny day and let the sun bake out the moisture. Opening the doors would be a good idea, too, but you want to make sure your battery does not go dead by leaving on any interior lights, radio, etc. Another option is to use a moisture absorber. 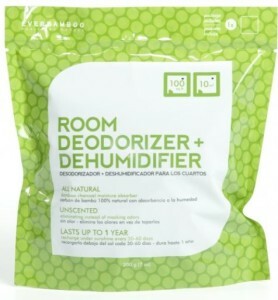 These packs are made of materials that draw moisture out of the air, and the dampness accumulates in the product pack, which you can then throw away or recharge. 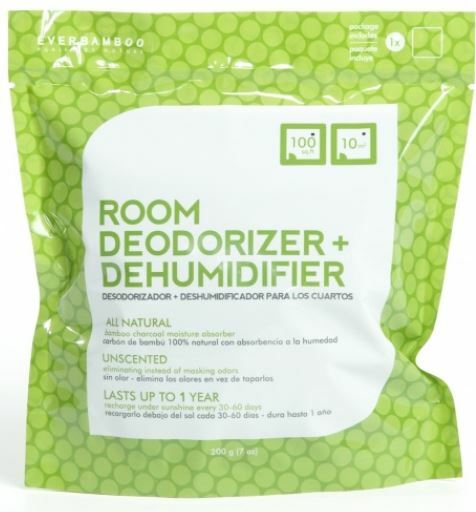 One that I suggest is Ever Bamboo’s Room Deodorizer + Dehumidifier, made from bamboo and can be reused by placing the pouch in the warm sun after using it to get rid of the accumulated moisture. So now you’ve gotten rid of the moisture. You still have the mold to take care of, though. You’ve got to kill the mold, or else it’s going to keep coming back. 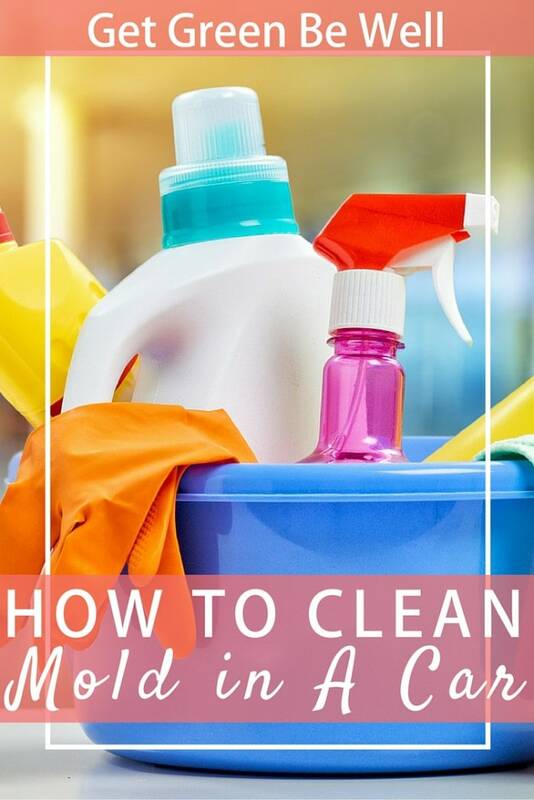 A better solution is to clean with a mixture of tea tree oil and water. You can do this by adding about 10-20 drops of tea tree oil in a small water bottle, spritzing on the mold-covered surface, and then wiping away. Even on upholstery this works. However, just to be safe, keep in mind that tea tree oil is an OIL and can possibly stain, so do a test patch first. Vinegar is another solution, as is dishwashing soap. The key is just to get the mold off and remove it, so that it doesn’t continue to keep growing.